Dampp-Chaser Supplies and Refills can be purchased on this page. 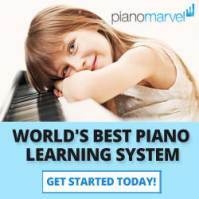 If you would like to learn more about The Piano Life Saver system, you can read more about it here [Piano Humidity Control]. Humidifier Pads should be changed twice per year. One package of pads includes four (4) pads, which equals a one year's supply. Dampp-Chaser Humidifier Pad Treatment (1) prolongs Humidifier pad life, (2) keeps the watering tube clean and clear, and (3) reduces mineral build-up in the humidifier tank. Prices include Free Shipping to the 48-contiguous states. California Residents, please use the "CA Residents" option, to add sales tax. ATTENTION CANADIAN Residents: Please use the form below, to place an order, to add the appropriate shipping costs. Thank you. Free Shipping is offered to the 48-continental United States, only. Customers outside of the US, please contact an authorized Dampp-Chaser International Distributor for support. BULK PURCHASES -- Contact Us at the form below, to receive discounted pricing for your home, institution, business, or university pianos. YOU ARE ADVISED TO USE ONLY Dampp-Chaser Humidifier Pad Treatment, to add to the humidifier tank water. WARNING: Using OTHER water treatments will VOID the warranty of the Dampp-Chaser Piano Life Saver System, and may also void the warranty of the piano manufacturer. Other brands of water treatment may contain acids which corrode strings and metal parts of the piano. If the YELLOW water light is flashing on the system, proceed to the next step. Add 1 capful of Dampp-Chaser Pad Treatment to the water can. Do not add solution directly into the humidifier tank. 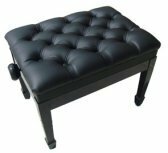 Piano Life Saver Pad Treatment is the only product recommended for use in the System Humidifier. USE OF ANY OTHER PRODUCT WILL VOID THE PIANO LIFE SAVER SYSTEM'S WARRANTY. Fill the can with distilled or filtered water and add to the red fill line on the can. NEVER TRY TO KEEP FILLING THE TANK, UNTIL THE LIGHT TURNS OFF. ALWAYS and ONLY use the thick red line on the water can as a guide and measurement, to fill with water. Find the hose connected to the tank. Stick the water can spout 1/2" into the tube, to help create a seal around the end. Pour the water into the hose until the can is empty. BE CAREFUL. 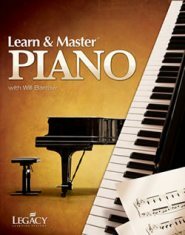 MAKE PLENTY SURE THAT NO WATER SPILLS ONTO THE PIANO, or OUT OF THE CAN'S TOP HOLE, WHEN LIFTING and TILTING UPWARDS. After the can is emptied, keep the hose connected. Set the can down on the floor, with the hose pointed downwards. Let the remaining water in the hose FLOW BACK DOWN INTO THE CAN. Make sure no water is left in the hose. WAIT for the remainder of water in the hose to run back down into the CAN, and then disconnect the hose. TIP: Twist a small portion of a napkin or paper towel gently into the hose, and keep it rolled up into the END of the hose, especially if you suspect any water (droplets) might drain back out, after the hose is secured. SECURE the hose to the inside of the piano. Dampp-Chaser Humidifier Pads have been specially designed to wick water across the top of the Humidifier Heater Bar. As the pads drape over the heater bar, they drop down into the humidifier tank, carrying water up and over the heat source. This gentle humidification process enables moisture to be brought into the piano in a very controlled manner. The humidifier is effective only when pads are free of the build-up of mineral deposits, or hardened minerals, on top of the heater bar and pads. 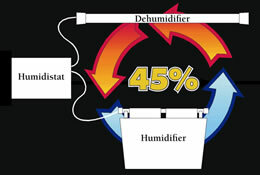 If the red light on your Dampp-Chaser system is flashing, this means the humidifier pads should be changed, immediately. Either the pads have become 1) too dry to work effectively, 2) are worn out through extended use [pads used over 1 year is not recommended], 3) or are corroded with mineral deposits, which block moisture from being absorbed into the pads, to wick water over the heater bar. Keeping the humidifier pads fresh and clean is a crucial step toward keeping your Dampp-Chaser system running as efficiently as possible. 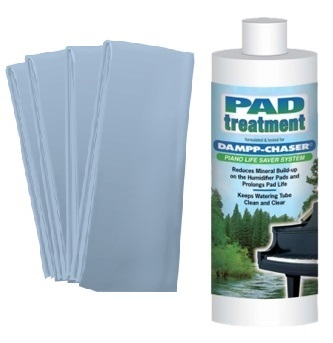 Many Dampp-Chaser / Piano Life Saver System owners choose to have their Piano Technician/Tuner change the Humidifier Pads during regular piano service visits. We recommend this option for systems in grand pianos. Some vertical piano owners choose to change the pads themselves, using the instructions we include with the pads. How Long Does a Humidistat Last? Dampp-Chaser offers a 5-year warranty against mechanical defects in any system component from the time of purchase and installation, by a certified Dampp-Chaser Installation Technician. The humidistat sensor which regulates the proper moisture content in your piano's soundboard, and activates the humidifier and dehumidifer(s) bars at their proper time, should be replaced every 10 years, for optimal use and efficiency. 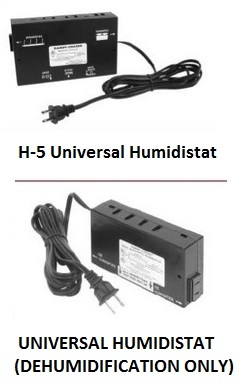 Devices used to monitor humidity levels, such as a hydrometer, begin to loose their accuracy by a deviance range of 5-10% or more, after roughly a decade of being placed in service. These moisture sensors are best replaced before they gradually become 'less sensitive' to their surroundings, and by extension, less effective, in detecting proper moisture content levels within your piano. 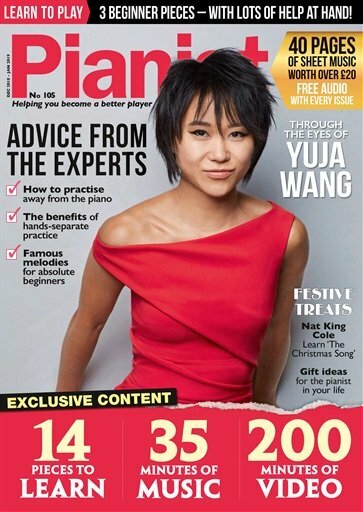 To ensure the longevity and proper preservation of your piano's delicate components, the humidistat "brain unit" sensor is recommended to be replaced every 10 years on average. Contact us below to request a humidistat replacement, or for help to contact a certified and qualified Dampp-Chaser technician for installation, and to be eligible for warranty coverage. If you are looking for any other accessory or component for your Damp Chaser system (e.g. undercover, replacement heater bar, higher wattage/lower wattage heater bar, new humidistat, etc. ), or to make a bulk purchase, please contact us at the form below.